Duck Dynasty Season 5 finale just aired on Wednesday, March 26, leaving its fans wanting confirmation about Season 6. Jase and Missy Robertson spoke to People magazine about their family, this past season and what lies ahead. With Phil Robertson controversy behind them, the Louisiana family are beginning to film next season of the show. “We’re going to keep doing what we do,” says Jase. Jase and Missy Robertson say that Duck Dynasty has a higher purpose than just entertainment. 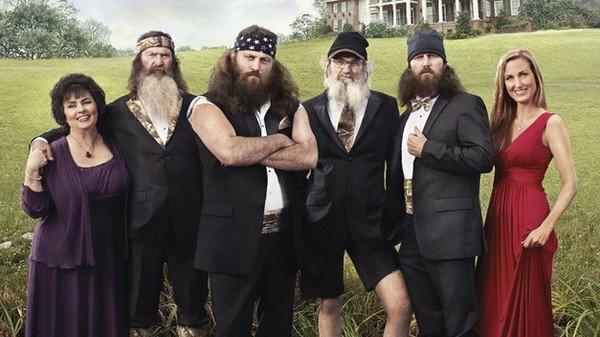 It does not appear that a premiere date for Duck Dynasty Season 6 has been made official yet, but based on past history it would seem fans can likely expect new episodes come this fall.